Whalen’s Barn is located at 670 Old King George Hwy in Newcastle. There’s an exciting new venue that is bringing the finest musicians the east coast has to offer to the Mighty Miramichi. 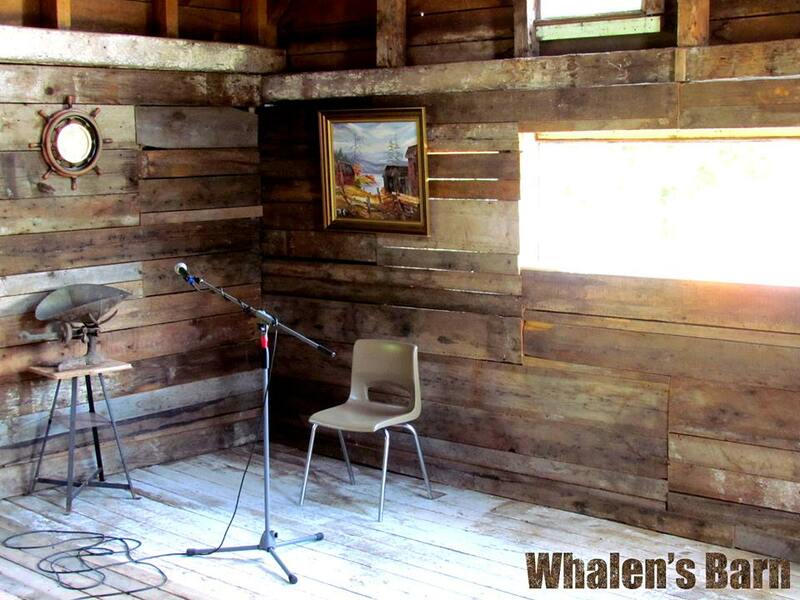 Whalen’s Barn is a 95 year old barn that has been renovated to host musicians from the East Coast and beyond, in a location where they will present their original music in a live and intimate setting. The Barn comfortably accommodates 60 guests and shows run every Thursday evening during the summer months from 7-9 pm. Now in their second year, Whalen’s Barn 2015 Concert Series began June 18th and will continue every Thursday through September 10th, for a total of 13 concerts. The series is under way but the remainder of the schedule (10 shows) is a killer line-up! Tonight, Thursday July 9th Cape Breton ECMA blues-rocker Dan Doiron takes the stage in a show you won’t want to miss! Dan performed at Whalen’s Barn last season and has also performed in the region at the Miramichi Folklore Park in Renous. Tickets at the door are $12 each or you can still purchase a season pass for the rest of the shows for $100 and save on each show. All shows start at 7 pm sharp! Whalen’s Barn is located at 670 Old King George Hwy in Newcastle. For more information like their Facebook Page.